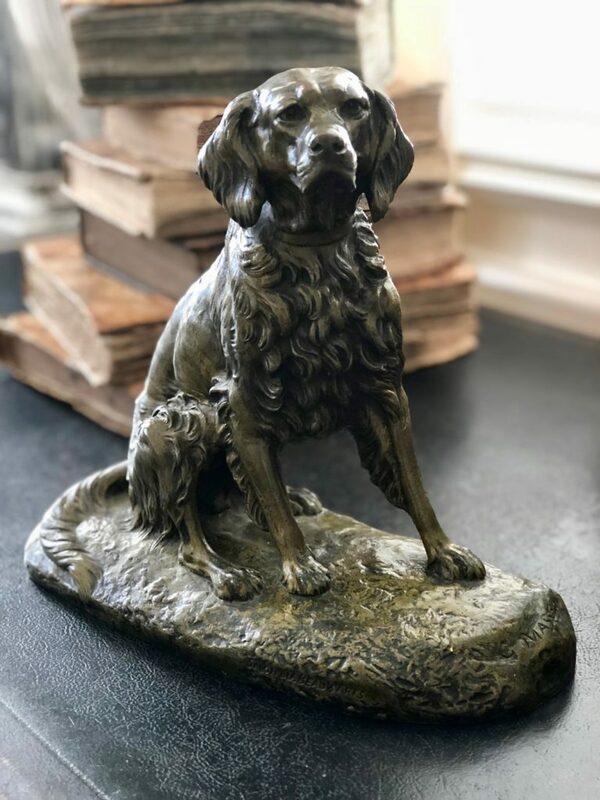 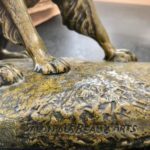 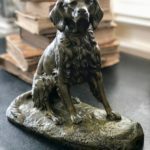 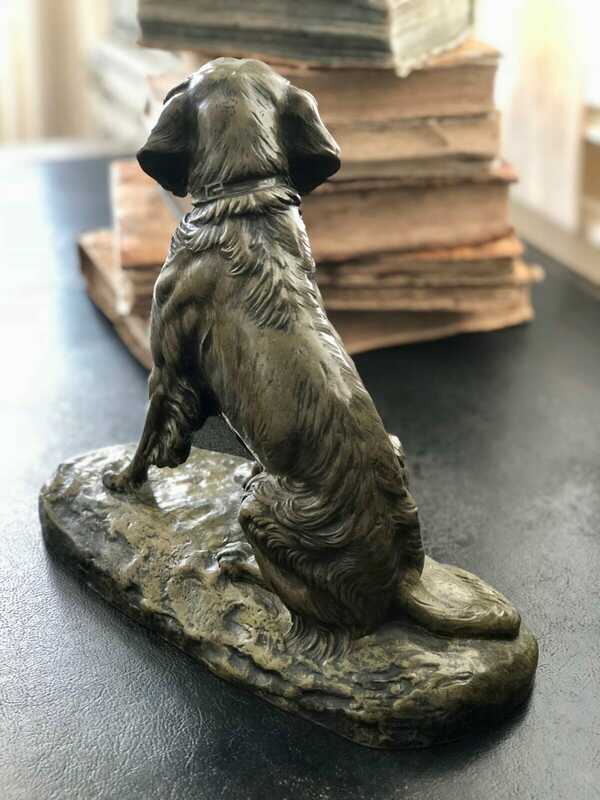 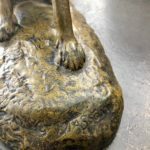 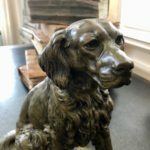 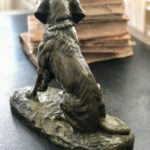 Clovis-Edmond Masson (1838 – 1913) bronze sculpture modeled to depict a seated spaniel with a golden bronze patina on a nauturalistic base.Inscribed “C.Masson”, “Salon des Beaux Arts” on base. 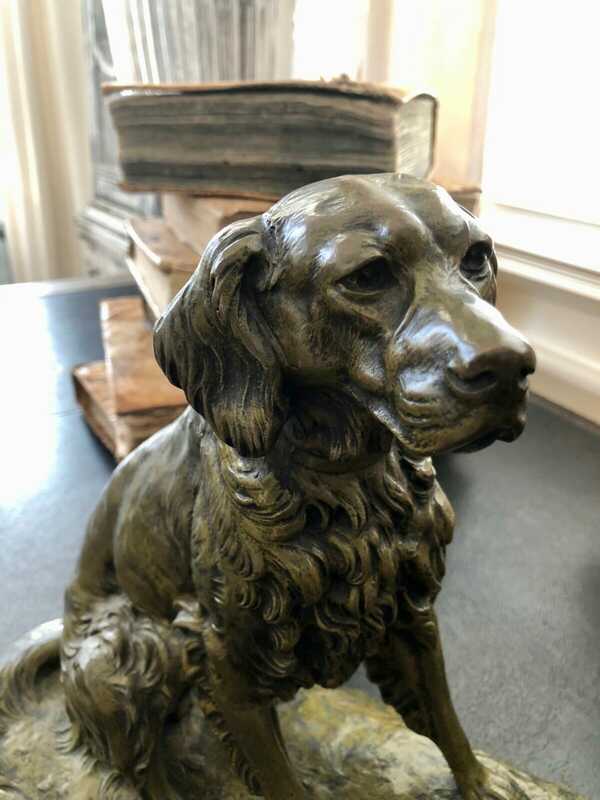 Masson was born in Paris and was one of many pupils of the sculptor Antoine Louis Barye. 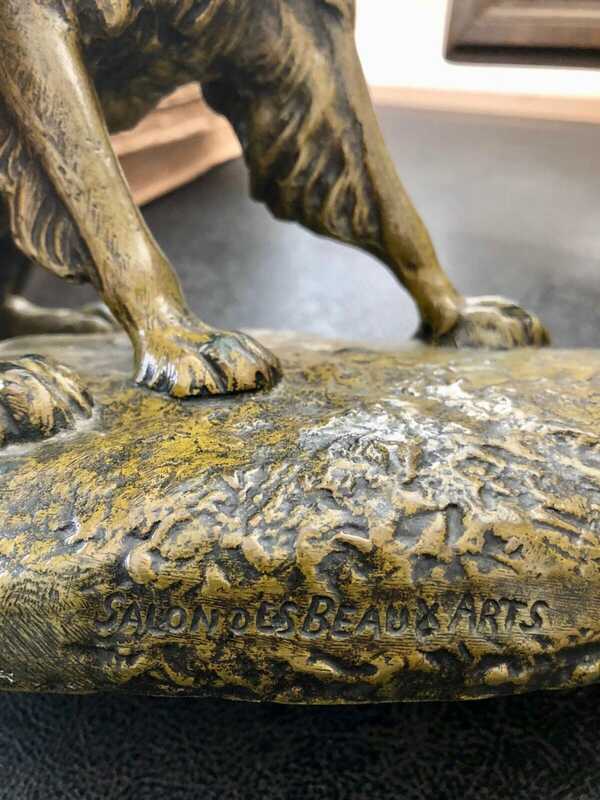 Masson had his sculptures cast in bronze by the foundries Thiebault and Suss Freres. 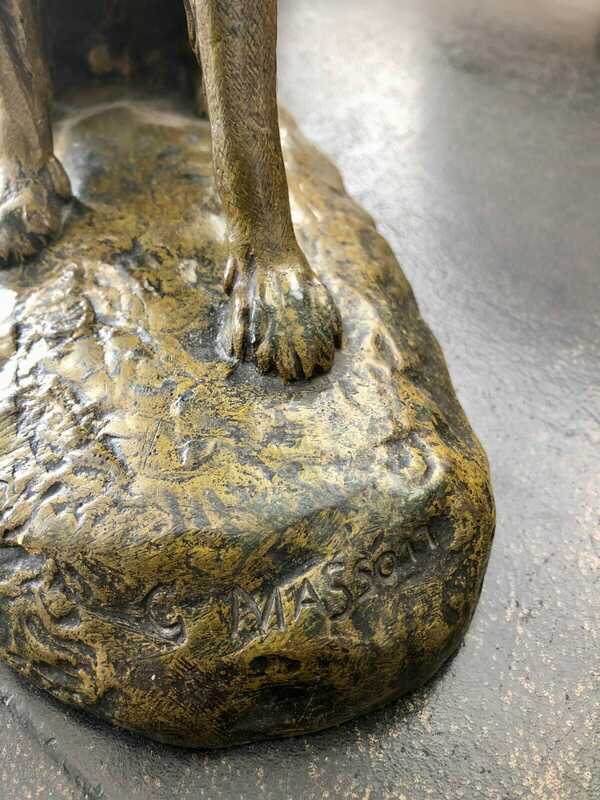 There are exampes of his work in galleries and museums the world over.